Stairways do not need to be large or grandiose, but they do need to maintain a sense of balance. Here, you can see all of the parts of the stairway working together to achieve equilibrium, especially in the dueling risers and treads. The darker treads work wonderfully with the beautiful turned newels and twist series iron balusters while the lighter risers complement the surrounding walls. 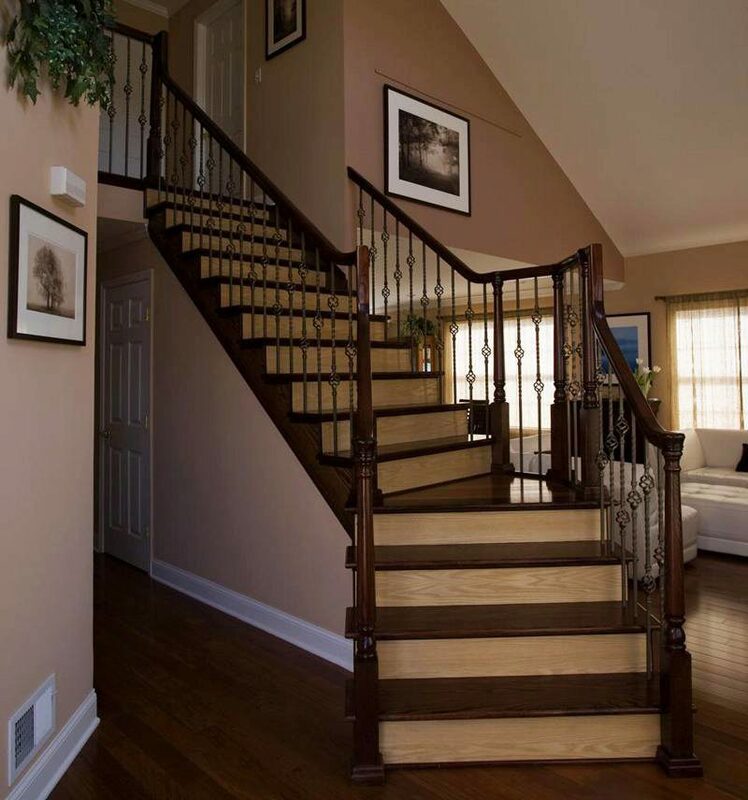 Click here to view your entire Wood Stair Parts offering.